The tour begins at Rapid Bay on the lower Fleurieu Peninsula about 90 Km south of Adelaide. This is our "high end adventure tour". Here the rugged coastline is spectacular with towering cliffs and crystal clear water, a great place for a sea kayaking adventure. 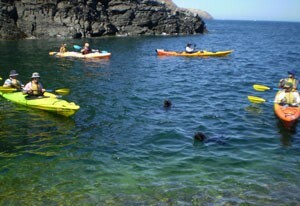 After meeting you on the beach and a quick discussion on kayak safety, kayak paddling technique and fitting of kayaking gear we are off to visit isolated beaches and mysterious sea caves and view https://tramadolmain.com playful seals. Exploring the stunning Rapid Bay coastline, with the highest cliffs on the Fleurieu Peninsula. A highlight of the tour is viewing a growing colony of Long Nosed Fur Seals that are always keen to make new friends, swimming around the kayaks and showing off for the camera. Lunch is a selection of fresh local meats, salads and non-alcoholic drinks.